We are currently closed and will re-open on 1st May 2019. 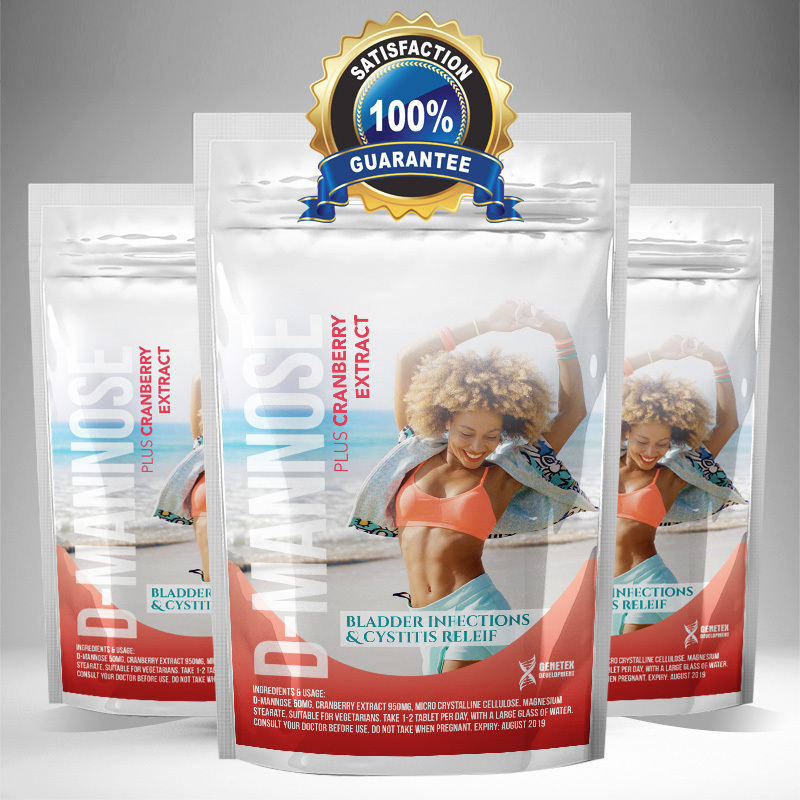 Product: D-Mannose & Cranberry provide a daily supplement to support normal and healthy bacteria balance in your urinary tract and bladder. Result: The chemical structure of D-mannose allows it to stick to backteria in the urinary tract and bladder. It forms a compound that the body expels with urine, thus helping to continually cleanse. Science: Mannose, packaged as the nutritional supplement ‘d-mannose’, is a sugar monomer of the aldohexose series of carbohydrates. Mannose is a C-2 epimer of glucose. Rapid release absorption rate & Quicker results! Usage: Take 1-2 Tablets, orally, in the morning. Do not use if pregnant or nursing. consult a health care professional before use if you are taking any medication or have any medical condition. Not recommended for use by individuals under the age of 18 without parental permission. Keep out of reach of children. This really works. Cool Stuff! This product provides Amazing Results! I am Happy with the results. This product works for me.